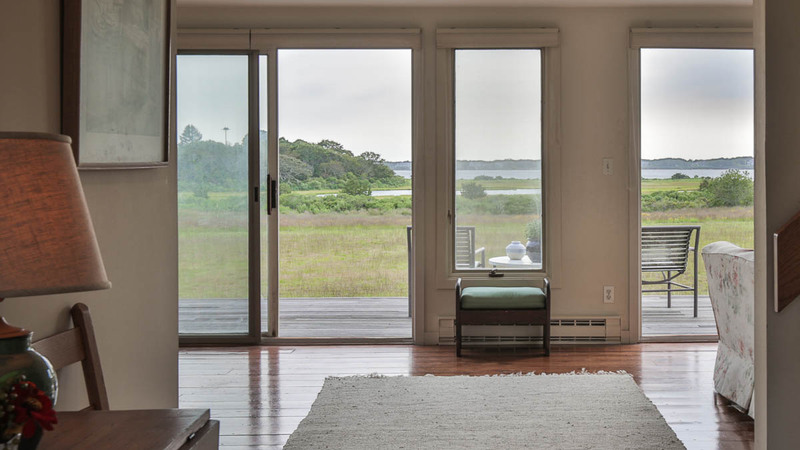 Open the front door and the magnificent view of meadow, marsh and glistening waters of the Bay welcome you...the site is quite simply breathtaking. 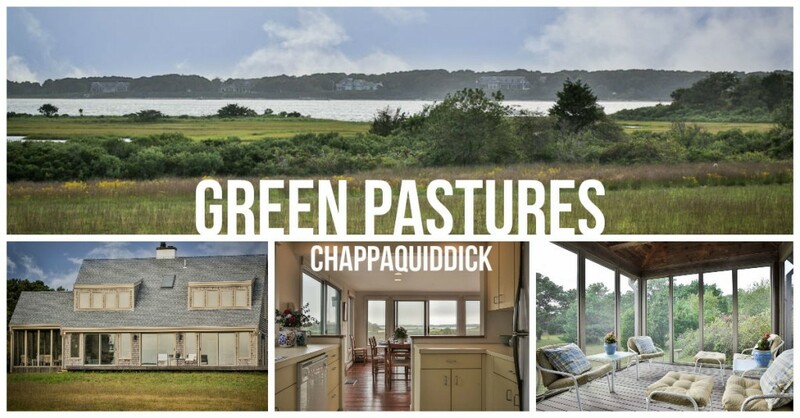 Green Pastures is a private, residential area offering 18 acres of open community owned property, exceptional privacy afforded by large individual home sites and shared access to and use of Bay side waterfront and dock. This is a superb offering with many sought after amenities. Additional acreage is available for sale. 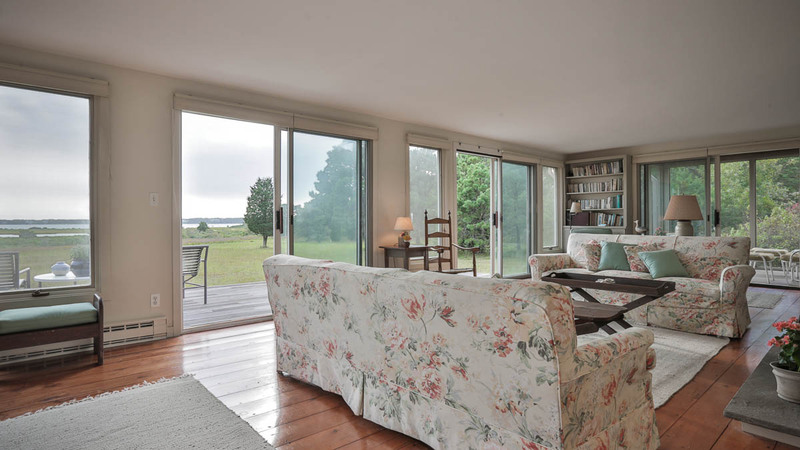 Enjoy stunning views across open meadow and marsh to the waters of Katama Bay. Living, dining and kitchen comprise the majority of the first floor and this is one spacious, L-shaped area with glass doors across the entirety of the southwesterly wall as well as on the south wall open to a deck that is built low to the ground, and so melds with the landscape instead of hindering the views. 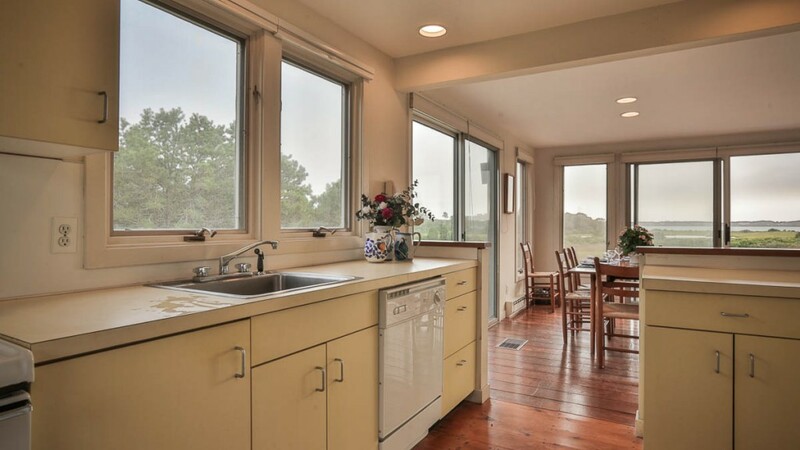 The living space is enhanced by a fireplace with an attractive granite surround as well as wide pine flooring, and the essential screened porch is on the shady northerly side of the house, perfect for hot summer days. The kitchen is a convenient and efficient U-shape, so open that the cook will never feel separated from the activity of the house. The adjacent dining area enjoys spectacular views across the Bay. On the second floor is a master bedroom with a full bath and large walk-in closet, as well as a spacious guest room with a half bath and large closet. 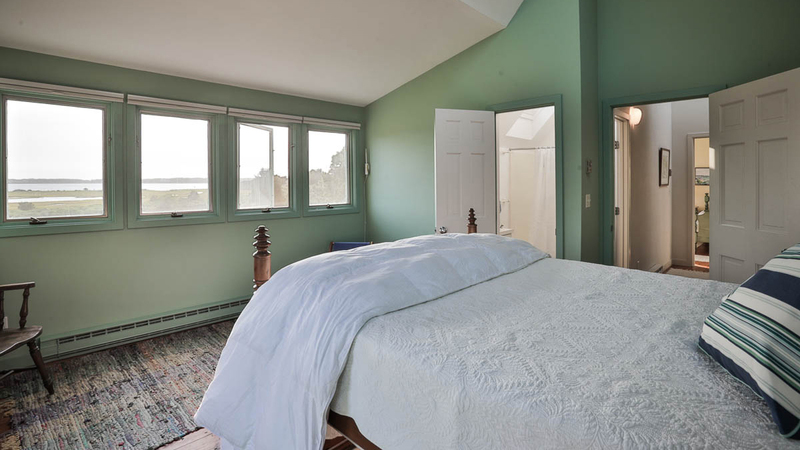 Both rooms have a bank of windows lending fantastic views of the Bay. 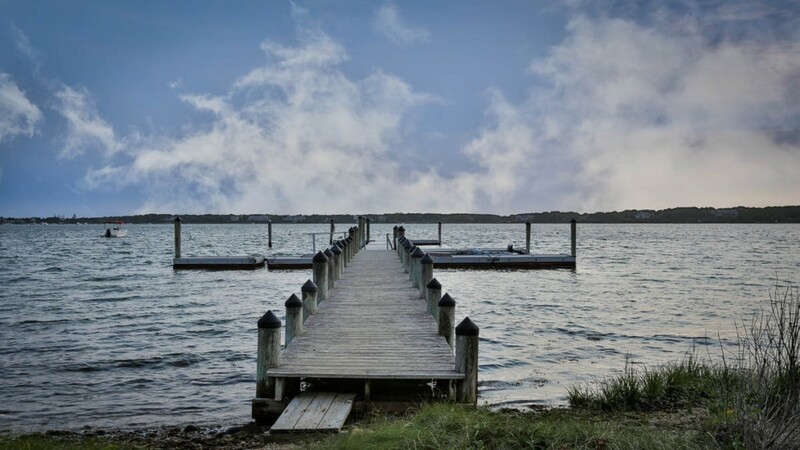 One of the many amenities offered by Green Pastures is shared access to the Bay side dock and waterfront.